Award-winning chef Ana Sortun and Oldways ventured to Turkey for a week-long journey of culture and cooking, where Ana rediscovered her culinary roots. 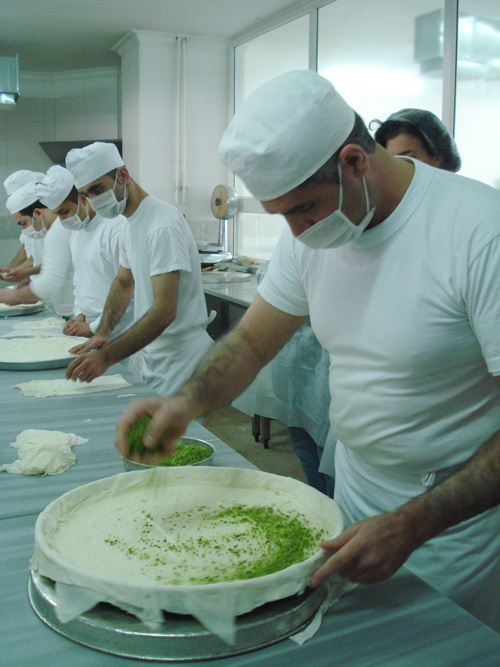 First, we visited Gaziantep, a city in southeastern Anatolia, a region famous for pistachios, baklava, copperware and for its important contribution to Turkish cuisine. And, since a trip to Turkey isn’t complete without a stop in Istanbul, we focused on the other regional cuisines of Turkey during our time in this mesmerizing city. 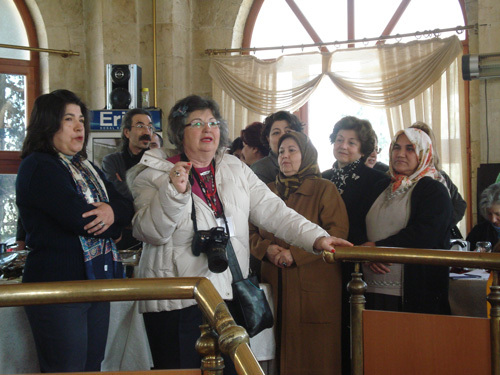 Travelers met in Gaziantep, Turkey on March 18, stayed for four nights in a historic boutique hotel and then ﬂew back to Istanbul on the morning of March 22 to start the Istanbul part of the tour. 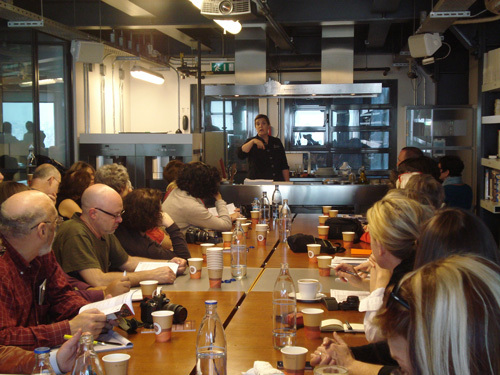 The culinary tour included meals, cooking classes, and tour activities. 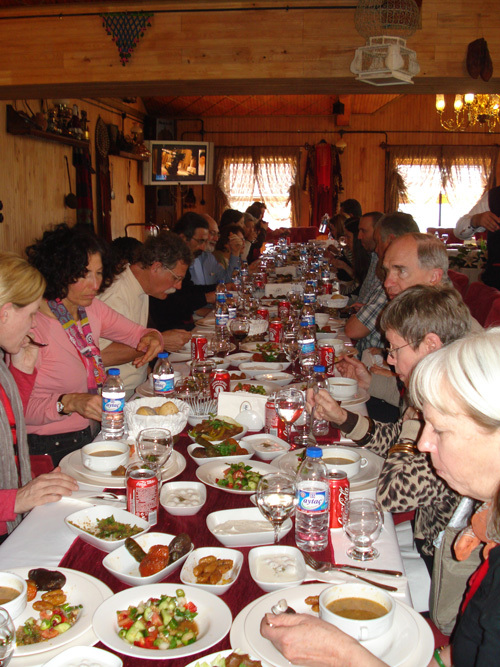 Travelers arrive at Anatolian house boutique hotels in Gaziantep, Turkey. 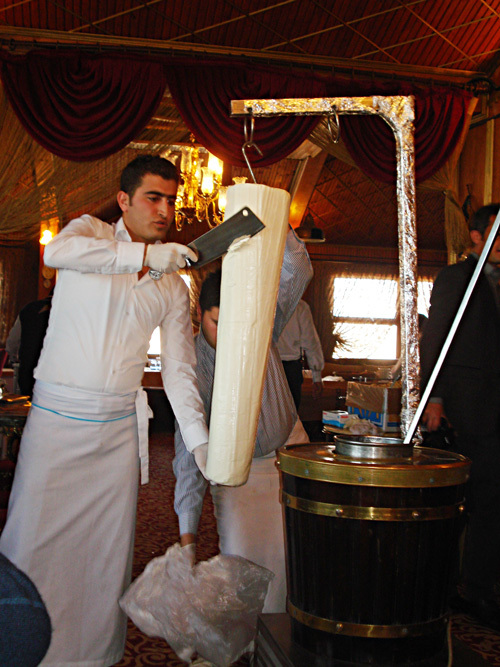 Gather in the courtyard of Anadolu Evleri for welcoming wine and cheese. Dinner at Imam Cagdas. 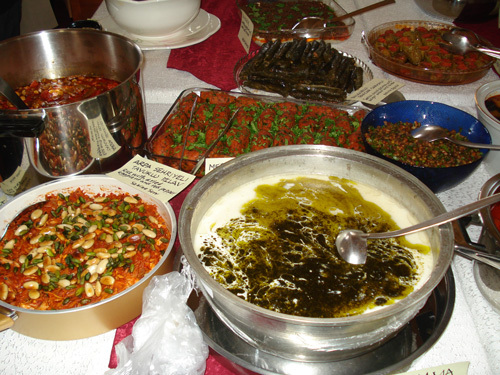 Introduction to the Foods of Turkey in Anadolu Evleri courtyard. 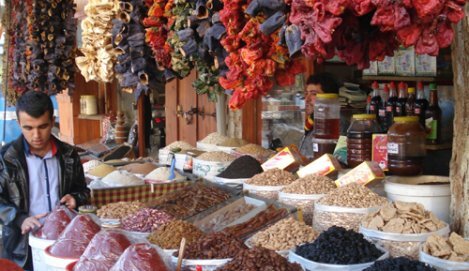 Visit to Gaziantep’s Food Bazaar and Copper Market. Pot luck in Kavaklik Park with 29 dishes made from home cooks. Dinner at Ishmail outside of Gaziantep. 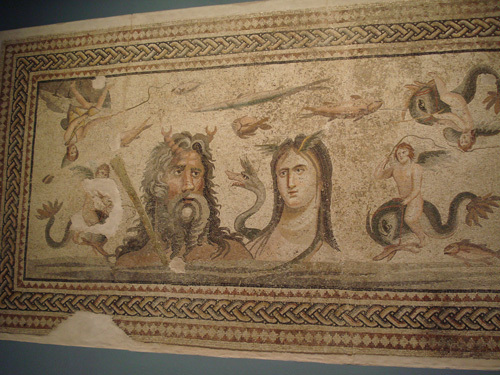 Visit to famous Mosaics Museum in Gaziantep. 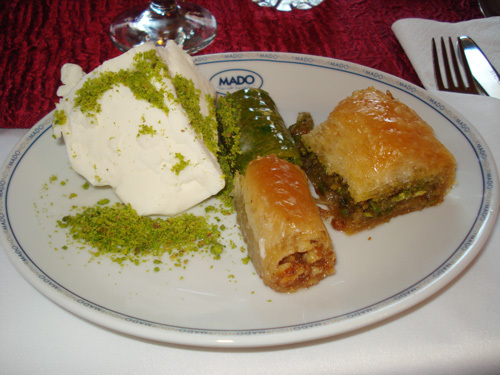 Day-long excursion to Maras, known for peppers and dondurma (Turkish ice cream). 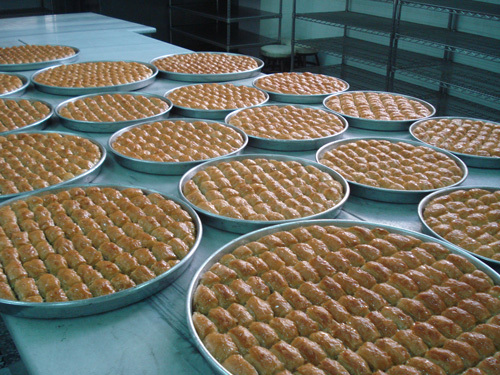 Visit to Baklava House. 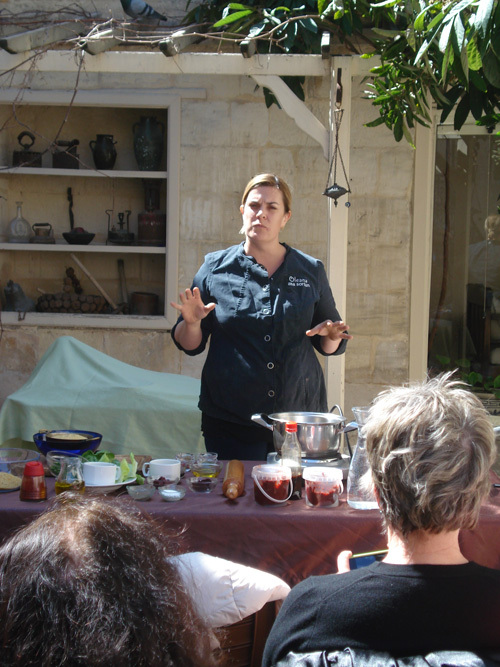 Lunch with cooking demo by Ana Sortun in courtyard of Anadolu Evleri. Visit to Archeological Museum. 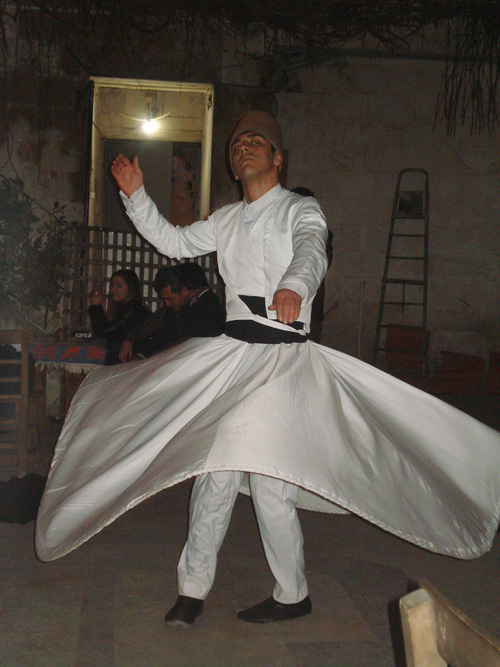 Dancing and music with light supper and a Suﬁ show with a Whirling Dervish Ceremony. 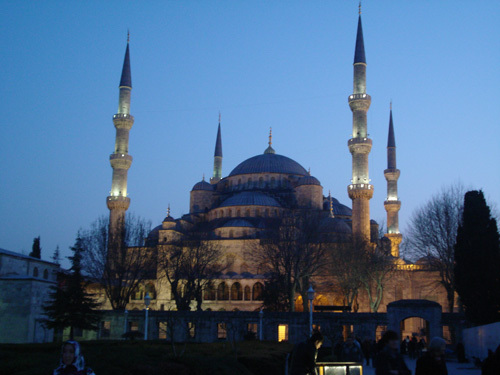 Fly to Sabiha Gokcen Airport on the Asian side of Istanbul. 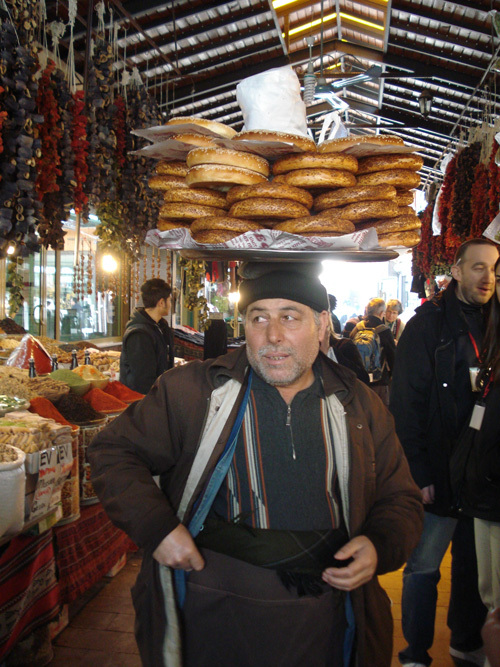 Visit the market district of Kadikoy, an un-touristy section of Istanbul on the Asian side. Lunch at Ciya (Ana’s favorite restaurant) with Chef Musa Dagdeviren. Cruise on the Bosphorus to European side of Istanbul. Check in to Ottoman Hotel Imperial and meet for dinner at Nar Gourmet. 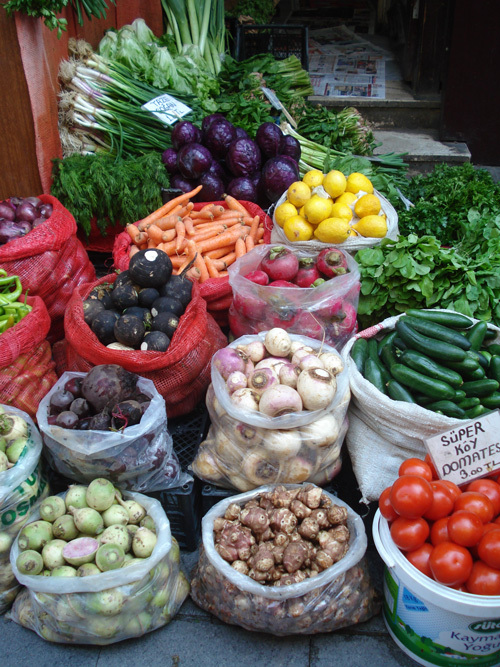 Visit to Taksim for a street-food-and-spice immersion with Ana. Lunch at Ferda Erdinc’s vegetarian restaurant Zenceﬁl. 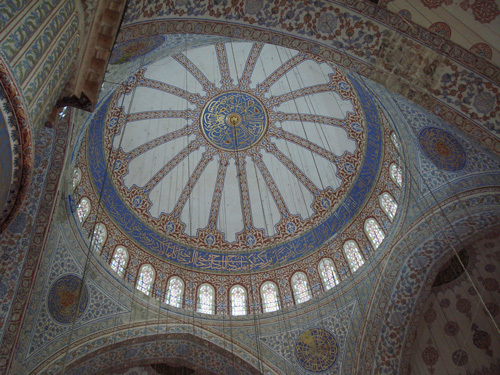 Tour of the Hagia Soﬁa and Blue Mosque. Optional Turkish carpets session and free time. Dinner on your own in Istanbul. Visit to Topkapi for a guided tour of the Ottoman sultan’s palace. 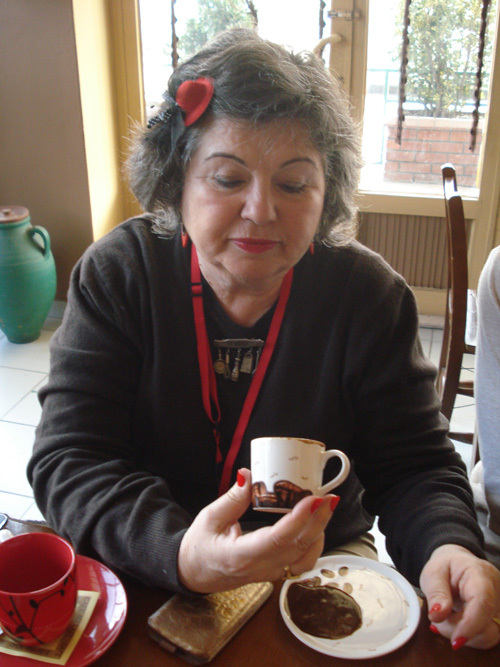 Cooking class with Ana Sortun at Istanbul Culinary Institute. Lunch at Istanbul Culinary Institute. Free time followed by Gala dinner at Ulus 29 overlooking the Bosphorus. 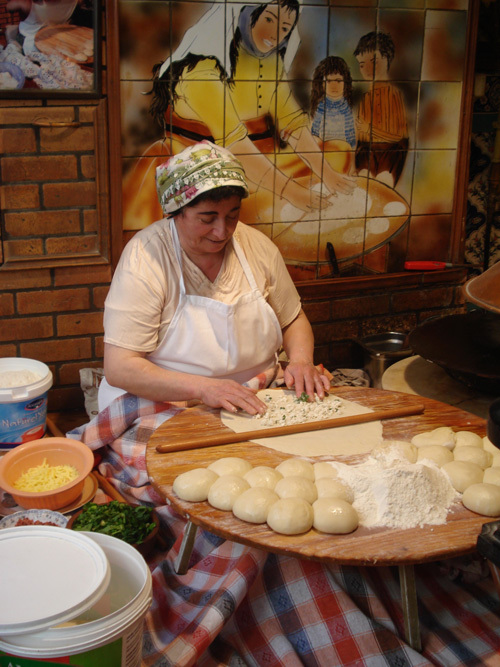 This program provides a day-by-day itinerary of the trip, information about the culture and foods of Turkey, and recipes from Ana Sortum’s cooking demonstrations. Photos by Abby Sloane of Oldways.